Creativity used to be a mysterious talent possessed by a selected few. Twentieth-century studies have shown that creativity is teachable and learnable, just like any other skills. Anyone who has gone from a non-creative career to design knows this well. By practicing, you develop the sensitivity for shapes and colors, the eyes to recognize subtle details, and an intuition for what will resonate with your audiences. Anyone can acquire design skills regardless of whether they consider themselves creative or not. But there is more than one type of creativity. The type of creativity that helps you find a perfect color palette is not the same with the one to help you come up with breakthrough ideas. Designers tend to have strong aesthetic thinking. Those who work with complex products and services, such as architects and product designers, also get exposed to divergent thinking and system thinking. This article is about utilizing more creativity areas asides from aesthetic thinking so that designers can influence not only the visual aspects, but also the product strategies and business as a whole. Here are four science-backed strategies to improve the different sides of your creativity. A taxi business must have cars. Reverse that assumption and you have a core of Uber’s business model: zero car inventory, drivers provide their own cars. When we solve problems with critical thinking, we implicitly accept assumptions as constraints. Lateral thinking, on the other hand, seeks unconventional ways of looking at the problem and challenge any pre-existing knowledge of a topic. This exercise might not lead to the solution directly, but it will help you become aware of the existing assumptions. Moreover, it practices your mind to challenge the status quo and become more open to unconventional ideas. Entrepreneur Frans Johansson suggested the best way to come up with groundbreaking ideas is by working at the Intersection of different fields. In his opinion, a creative idea is a combination of existing concepts. 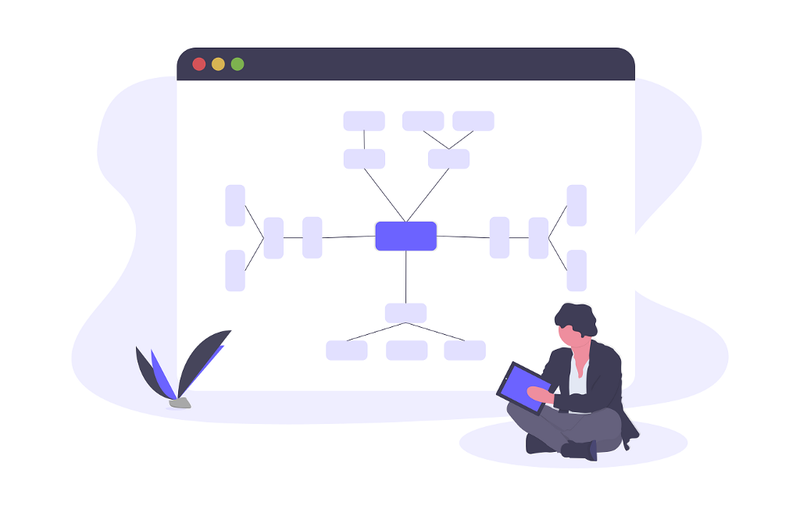 Working at the Intersection allows you to apply proven ideas from one field to another, and create novel connections of concepts that experts in a singular field could not think of. Learning different fields might sound like a considerable investment of time, but it doesn’t have to be so. Instead, you can collect and cumulate nuggets of knowledge from what you’re already currently reading as your own book of ideas. In the classic A Technique for Getting Ideas, marketing mastermind James Webb Young suggested creatives to continually gather general knowledge as raw materials to be used when brainstorming ideas. Basically, every time you come across a clever design, an interesting concept, useful pieces of knowledge on a subject, or any information that you think can be used in the future, write or sketch it down. 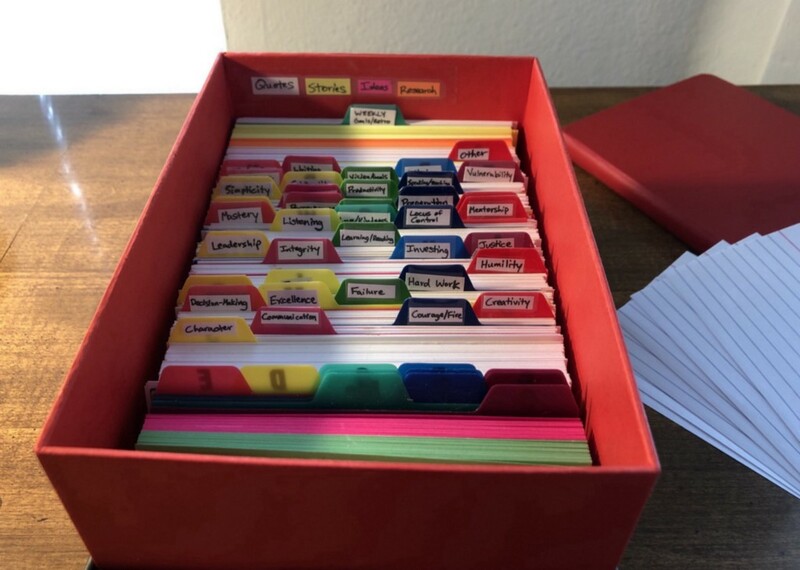 You can use 3 x 5 index cards to record ideas, classify a topic for them, and organize them into a scrapbook or file. The same organizational system can be used to store your past projects. Just like how you can find inspiration from an old note, these little cards of ideas from previous projects can trigger a new invention. In addition, this will prevent you from redoing work in a new project with similar problems. You have a problem which you couldn’t figure out, you stopped thinking about the problem, then all of a sudden the answer came to you when you least expected it. Sounds familiar? That’s the effect of the incubation period, when your unconscious mind is working on the problem without your conscious awareness. Incubation is how most inspiration creativity happen. We might have little control (or understanding) of it, but there are things we can do to make it happen more often. It’s tempting to delay getting started until we can get a few good hours to concentrate, but this process might leave no time for incubation. Instead, just by reading materials about the problem and formulating a couple of good questions, you can get your unconscious mind to start working on the problem while you do something else. Constantly thinking about the problem only gets you more stress, which triggers your brain to allocate resources to the primitive parts and inhibit abstract thinking and creativity. Studies have found that incubation even as a short break to do an easy task can be beneficial for creativity. The key is to choose a task that isn’t too easy (because your mind will come back to the problem) but also not too difficult (because it will consume more of your mental energy). Sleep correlates with a longer period of incubation. During sleep, your mind consolidates memories and create new connections. If you can give the problem one extra night and revisit it the next morning, you might find ideas that surprise you. Finally, when you plan the next design projects, make sure you include time for not thinking about the design. There’s a widespread myth that deadlines increase creativity. Research has found that people were actually less creative under intense time pressure despite “feeling” that they were more creative. Additionally, their creativity decreased not only on the day of intense time pressure, but also the days following it. “You show me somebody who says, ‘I’m an adrenaline junkie, I perform my best under stress,’ and I’ll show you an idiot.” — Richard Boyatzis, a scholar of organizational behavior and cognitive science. This is perhaps the most important factor in the creative process. We might think that intelligent and creative people have the best ideas. In truth, many ideas from creative geniuses never amount to anything. Most of Einstein’s papers were not referenced by anyone. Only 35 percent of Mozart’s, Bach’s, or Beethoven’s composition is played today. In other words, innovative ideas are random. Research has consistently found that the strongest correlation for the quality of ideas is not intelligence nor past success, but the quantity of ideas. 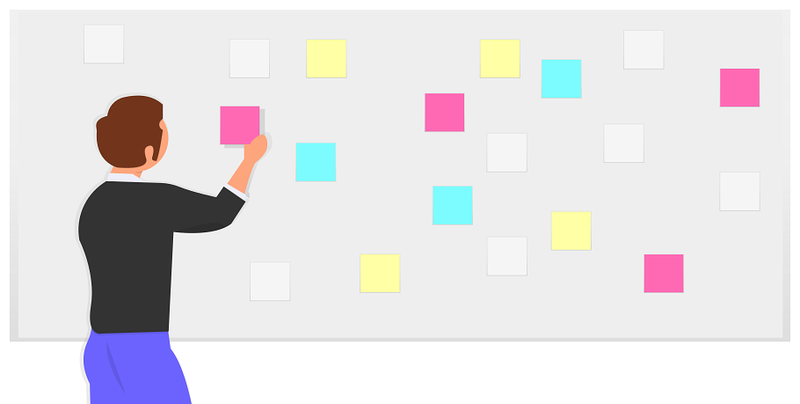 Too often, we stop the brainstorming process after finding one good idea. Deadlines and heavy workload create the tendency to do just enough. We don’t exhaust the possibilities and ignore the unlikely alternatives. A method applied by Thomas Edison and many other innovators is setting idea quotas. Brainstorming exercises such as Crazy Eights is based on this concept, but almost anyone could challenge themselves to increase the number of ideas. Instead of being the employee, be the competitor who needs to respond to your new product. Instead of designing for the ideal user, be the most crabby, impatient user. How would your solution change if you are a risk-taker instead of a risk-averse person (or vice-versa)? 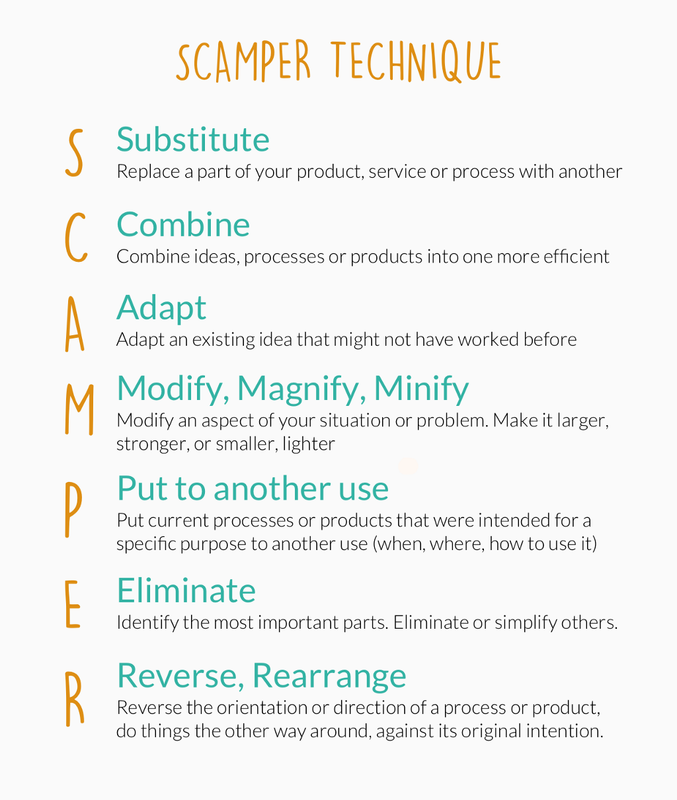 Once you have chosen an idea, iterate it by Substitute, Combine, Adapt, Modify, Put to another use, Eliminate, Reverse. You might have known this from Design Sprint. 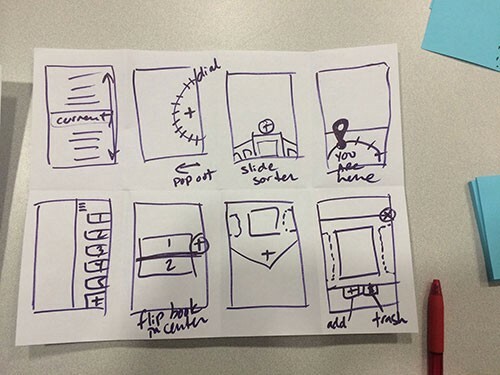 Essentially, you have to sketch eight distinct ideas in eight minutes. The goal is to unload the obvious ideas to come up with a more creative solution. There are many other idea generation techniques. 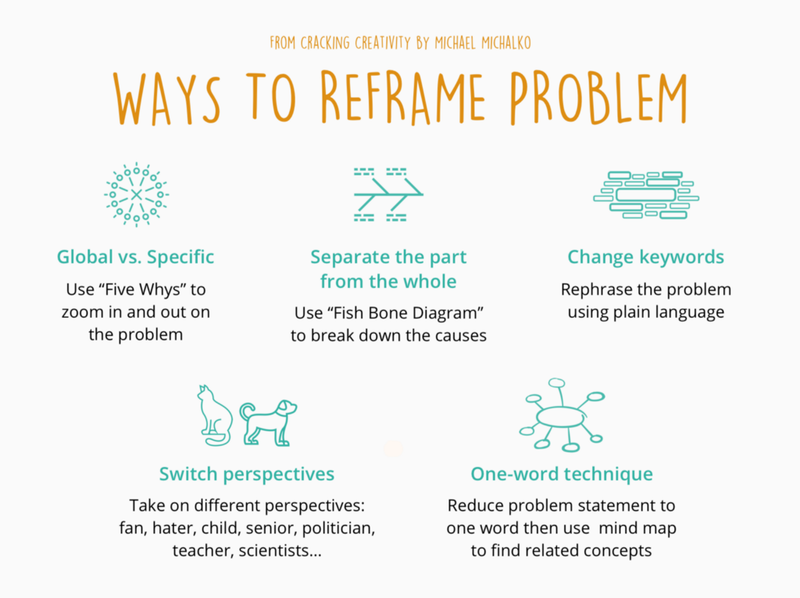 The key is to ensure you have thought of the problem from multiple perspectives, and explored solutions from the most likely to the least likely. Science-backed ways to boost creativity was originally published in UX Planet on Medium, where people are continuing the conversation by highlighting and responding to this story.